Finnish farmer cooperatives, born out of a struggle against monopolies and price fixing more than 160 years ago, have become a powerful player supporting the welfare of farmers, not only in Finland, but also around the world. 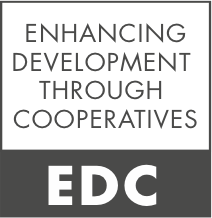 But are cooperatives also an efficient and responsible way to meet the world’s food needs? Kari Huhtala, Cooperative Director at the Pellervo Society in Helsinki, explains how the cooperative movement in Finland has come to be one of the most powerful examples in the world, capturing over 70% of the value chain for the benefit of Finnish farmers and consumers. AgTalks is an initiative of the Office of the Secretary of the International Fund for Agricultural Development (IFAD), which is both an international financial institution and a specialized United Nations agency. It is a unique organization dedicated exclusively to investing in rural people.